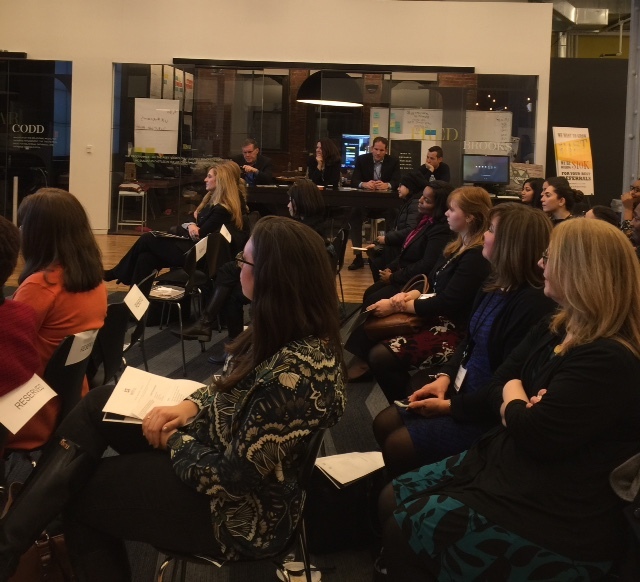 On February 23rd, 2016, the WITI NYC Regional chapter re-launch kicked off with our first event, "Let's get started with Innovation! The event was sponsored by ADP and held at Lifion. 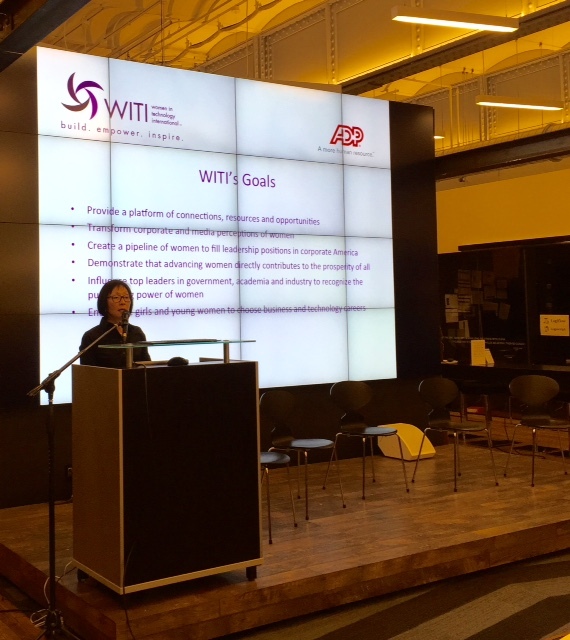 Diane Chang, NYC Leadership Team Director, set the stage for this event by sharing WITI's Mission and Goals, and the WITI NYC Leadership Team's commitment to making a meaningful difference in our community. She encouraged us all to build collaborative and supportive relationships at each event. 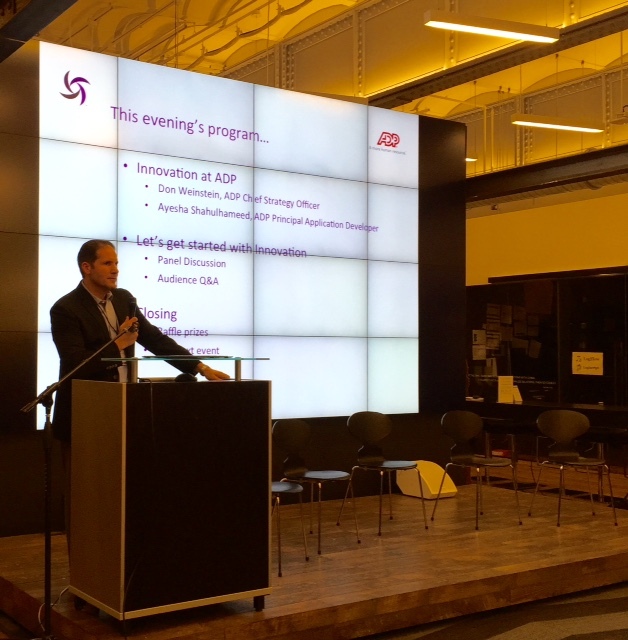 Don Weinstein, ADP Chief Strategy Officer, talked about Lifion and innovation at ADP. He presented a compelling vision of ADP as "leaders in human capital management from recruitment to retirement". 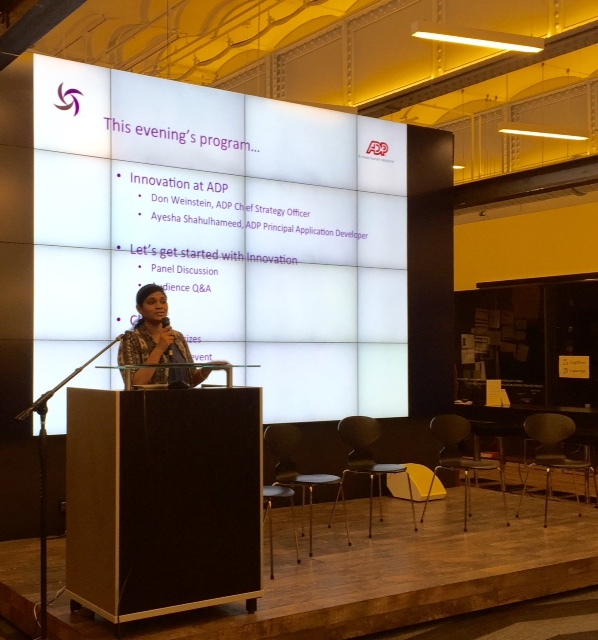 Ayesha Shahulhameed, ADP Principal Application Developer, described working at Lifion as a place to learn everyday where ideas contribute to build their products and services. 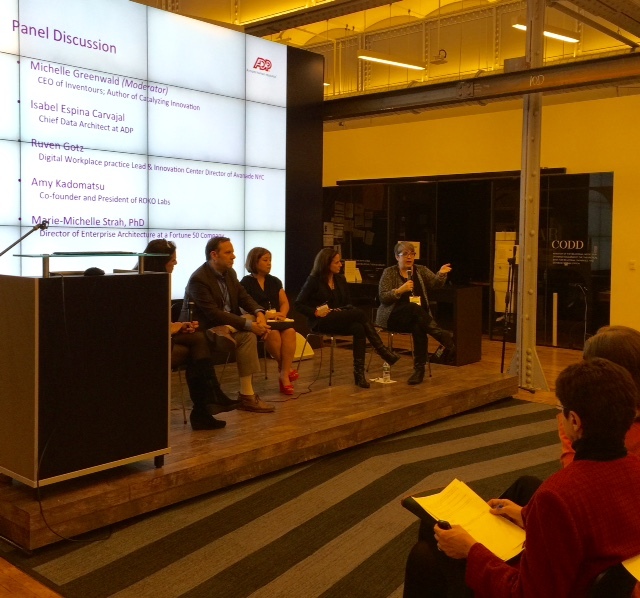 Over 80 attendees gathered at the event to network and focus on the evening's panel discussion on Innovation and how change can be implemented through people, technology and process. 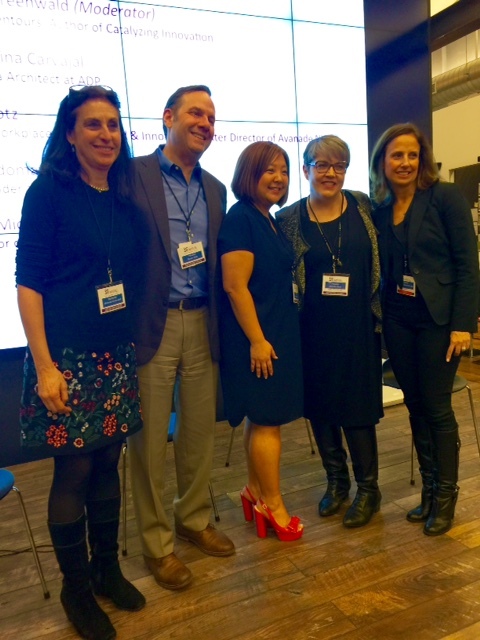 Our moderator Michelle Greenwald asked a series of thought provoking questions and engaged our panelists in dialogue about how to create something new, "reverse things and turn them upside down". Each panelist talked about innovation insights from a gender perspective, when Michelle Greenwald asked them to talk about their favorite female. Ruven Gotz talked about Ayah Bdeir, the creator of littleBits, an open source system of preassembled, modular circuits that snap together with magnets, making learning about electronics fun, easy and creative. Ayah is an engineer, inventor and interactive artist. Amy Kadomatsu told us about Sarah Kauss, who created S'well. By using S'well bottles, consumers reducing the number of plastic bottles in landfills and oceans, and also supporting efforts to bring clean water to the world's poorest communities. Isabel Espina Carvajal shared the inspiring story of Cynthia Breazeal, who is known for her work in robotics where she is recognized as a pioneer of social robotics and human-robot interaction. Isabel made many of us smile when she mentioned Rosey the robot from the Jetson's cartoon. Isabel also talked about Reshuma Saujani, founder of Girls Who Code, who changed the face of technology by bringing technology skills to girls who do not have access to this education. Marie Michelle Strah gave us insight into the entrepreneurial mindset of Robin Chase, co-founder and former CEO of Zipcar, one of the largest car-sharing companies in the world. Marie Michelle described the robotics competition sponsored by the Brearley and Chapin schools in Manhattan, where "science is everyone's game" comprised of an all girl's team. One of the inspiring quotes on their website is: "Every girl deserves to take part in creating the technology that will change our world and change who runs it". Ruven mentioned Sheryl Sandberg, founder and board chair of LeanIn.org, and author of the book, Lean In, focused on encouraging women to pursue their ambitions, and changing the conversation from what we can't do to what we can do. The evening ended with time for a raffle and networking with our peers. And of course, a heartfelt thank you to our host, moderator and panelists for creating an atmosphere that was engaging and inspiring, encouraging us all to pursue innovation in our own way. The collective message for the evening was "all of us have a choice to make innovation a part of our every day work practices and creative pursuits. And sometimes that means starting with personal innovation to consciously choose who we want to be"! 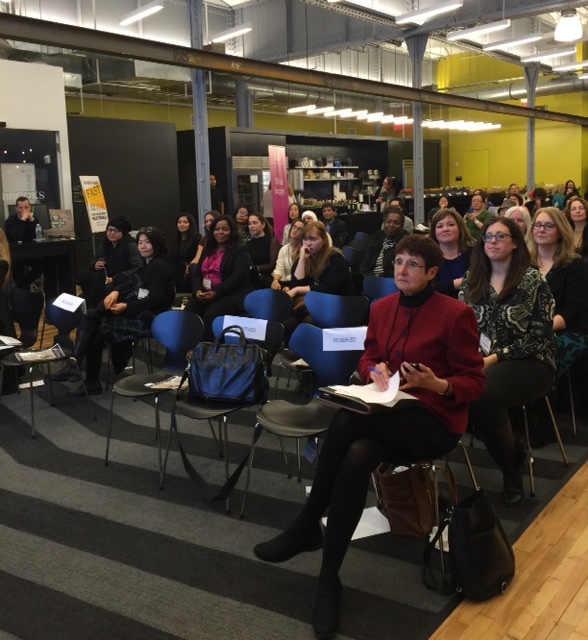 Link to event details and panelists' bios: http://www.witi.com/networks/newyork/events/3068/Let's-get-started-with-Innovation!